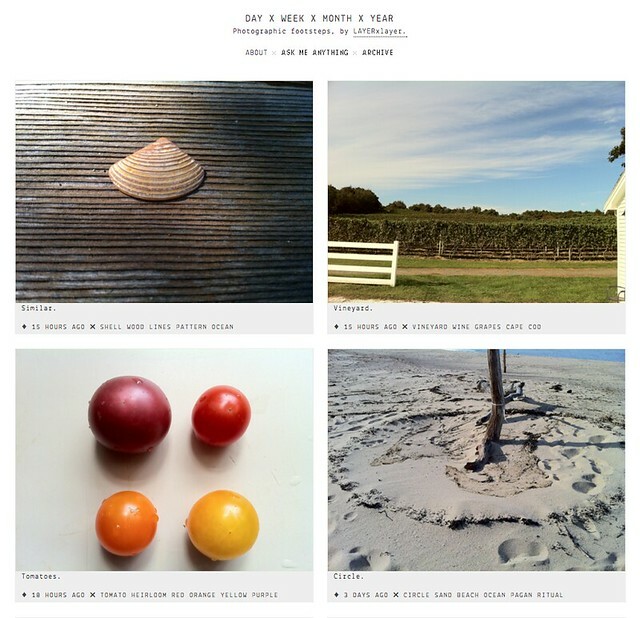 Since we try to keep our primary blog relatively focused and a place for more considered musings, we created a photo-only blog called DAYxWEEKxMONTHxYEAR. We tend to take a lot of photographs, mostly to serve as memories and/or references for future projects and we wanted to share these images. It should be interesting to watch the transition between seasons occur, since we are in New England - the most beautiful geographic locale for such seasonal changes, in our opinion. As a side note; if you are the type that is interested in sneak-peeks of upcoming projects/products, DxWxMxY is the place to look. Along with the occasional spy-shot, we’ll be posting many photos that will likely not appear anywhere else. Behind-the-scenes type things. *For the tech/photo enthusiasts out there - every photo added to DxWxMxY (for now) was taken with an iPhone 4. No filters, no editing - just plain & simple.